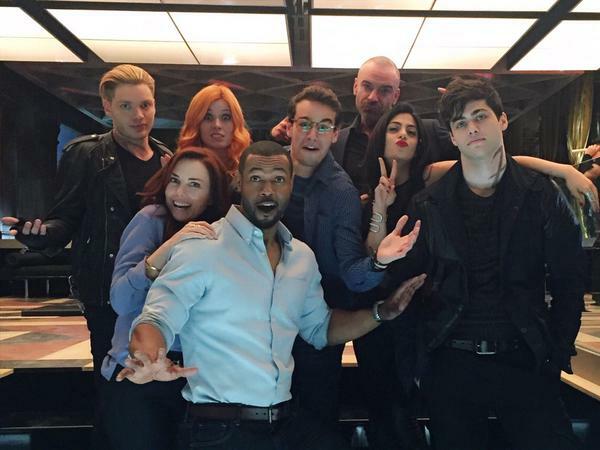 Absolutely adore the Shadowhunter cast! And haha, the family picture. Anyone notice Matthew/Alec being all swag like? And cheers for the writers, whoo! A very wonderful casts! Gosh, Im inlove with matt and alec at the same time! And Magnus, wow, Harry is my Magnus! even w/o all the glitter and make up! These are really great pics! Hello beautiful writers! I still believe you will not butcher the plot. EEK THOSE CLACE PHOTOS.🙈So cute to see the fam altogether!